Supercell thunderstorms will be a possibility over south east Queensland and New South Wales. Picture: Sky News Weather. IF YOU'RE in Sydney, don't be fooled by the sun gloriously shining down. By tomorrow, the clouds and drizzle could well have returned. 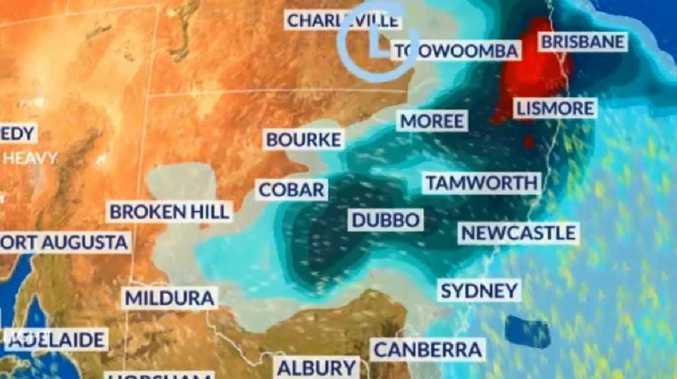 But if you're further north in New South Wales and in Queensland, you'll have more to worry about than rain - the sunshine state could be about to become the supercell state. Forecasters have said a "storm outbreak" could bring ferocious weather delivering a drenching combined with damaging winds and hail. From 50mm to around 100mm of rain could fall in parts of Queensland and up to 25mm down the NSW coast and into Victoria. Low pressure systems have also brought rain to Western Australia and the southern states including across Melbourne and Hobart. Despite the wet weather, meteorologists have cautioned that the drought is still far from over and with Australia now on "El Nino alert" there's actually a higher likelihood of drier conditions across the country. But it's the unfolding weather drama in Queensland and northern NSW that has forecasters watching their weather maps. 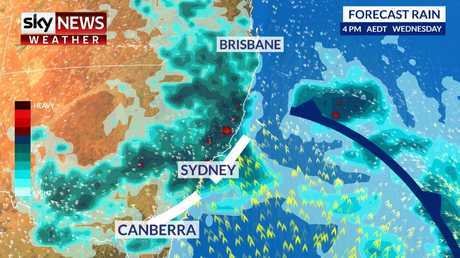 "Wednesday will be the peak of the storm outbreak when Brisbane is most likely to see severe weather with a very high chance we could even see supercells directly above the city," Sky News Weather channel meteorologist Tom Saunders said. A severe thunderstorm warning was in place on Tuesday afternoon for across many central parts of the state inland of a line from Brisbane to Rockhampton. 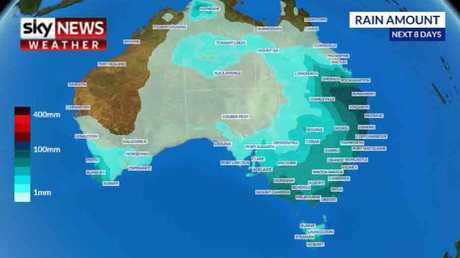 "An area of low pressure is moving through south east Australia bringing showers but even before it arrives we already have a storm outbreak across south east Queensland and NSW," Mr Saunders said. He said wind shear was a major factor in the storms that was leading to larger and more "organised" storms, called supercells. Supercharged thunderstorms, supercells are rotating systems that can lead to heavier rain, more damaging winds and larger hail. They also have a habit of hanging around for longer periods of time. The Bureau of Meteorology (BOM) states that supercells are considered to be the thunderstorms that can have the most destructive impacts and are "fascinating but dangerous". Rainy condition could return to Sydney, as in here at Martin Place. Picture: AAP Image/Mick Tsikas. The BOM has said up to 35mm of rain could fall on Brisbane on Wednesday with a further 60mm forecast for the four days following. The Gold Coast could get even more of pelting and it's a similar story across the border in Grafton and other areas on northern NSW. "On Thursday, the system will head further north and west bringing showers and storms for central Queensland," said Mr Saunders. An area of low pressure that brought rain to Victoria and Tasmania on Tuesday will head into NSW leading to a high likelihood of showers in Sydney on Wednesday. While less vicious than what's expected further north, it could still be a wet week with around 20mm of rain up to and over the weekend interspersed with sunny spells for the Harbour City. Canberra will also be under a cloud with as much as 30mm of rain over a six day stretch. 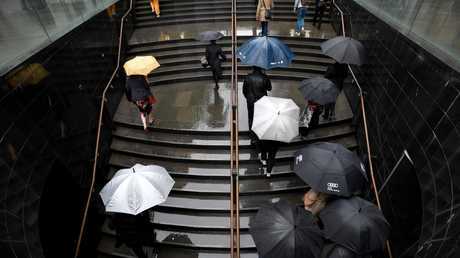 Another low pressure system means umbrella weather in Western Australia. Storms are possible in Perth until later on Wednesday and on the weekend with downfalls possible, particularly on Saturday. Melbourne will be much more settled for the rest of the week as high pressure that had been blocking the rain in NSW settles further south, performing the same trick in Victoria. But the rain could make an appearance on the weekend with up to around 20mm possible. Hobart will have similar conditions but will see less rain on the weekend. Adelaide also has a dry week forecast but there's a risk of 20mm of rain falling on the weekend as the skies cloud over. Sunny and 35C in the Top End but storms are a possibility on the weekend. A rain anomaly map of New South Wales which shows the deficiency in rainfall between January and September compared to average. 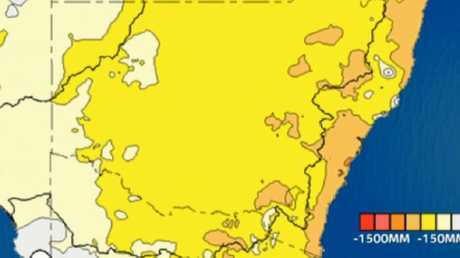 The yellow areas have seen 150mm less than average, in orange are areas with 300mm below average. Picture: Sky News Weather. The wet weather has been welcomed by farmers in east coast inland areas, Dubbo's recent 63mm was its heaviest rain in 19 months. But even in the area's where rain did fall - and many places missed out - it's just not enough. Sustained rain is needed not a one off downpour, said Mr Saunders. 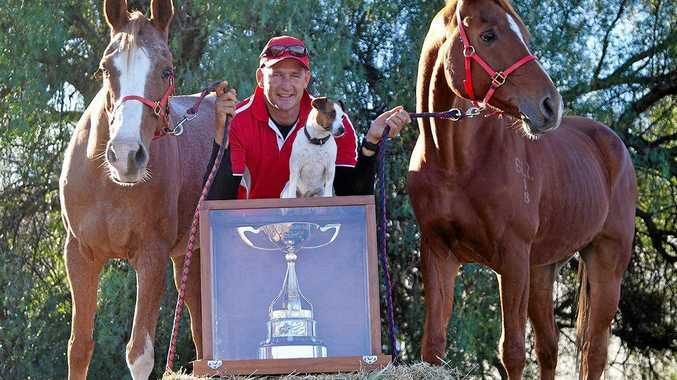 "The Riverina has had less than 10mm of rain during the recent event. Even in those areas where we have seen in some case 100mm of rain, those rainfall deficiencies still in the hundreds of millimetres this year." And in more crushing news, the BOM officially moved Australia to "El Nino alert" on tuesday. That means there is now a 70 per chance of the climate driver making a reappearance in the next few months. During an El Nino event, warmer waters gather in the eastern Pacific Ocean with cooler waters closer to Australia. This typically means less rainfall over the Australian continent. BOM manager of long-range forecasting Dr Andrew Watkins said this could lessen the change of drought-affected regions recovering over the coming months. "If an El Nino were to occur, we're more likely to see drier and warmer than average conditions."